Today’s Woman Crush Wednesday is coming to you from the U.S.A. I’m here visiting family and enjoying a playcation with my granddaughters. 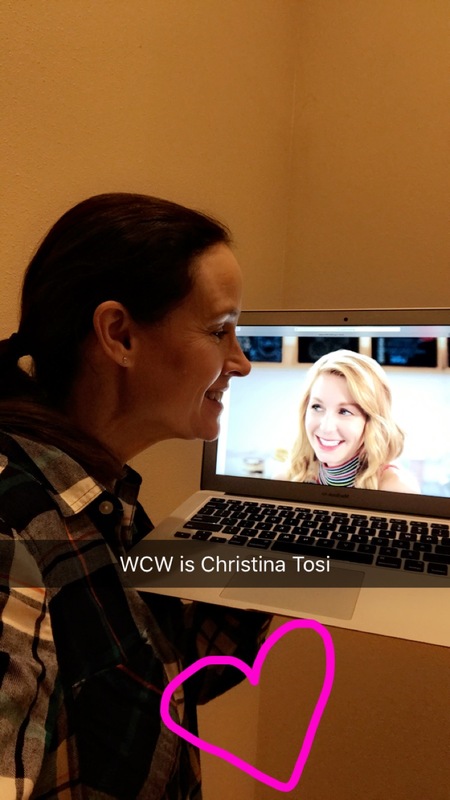 Being back in the country of my birth makes it a perfect time to honor Christina Tosi. 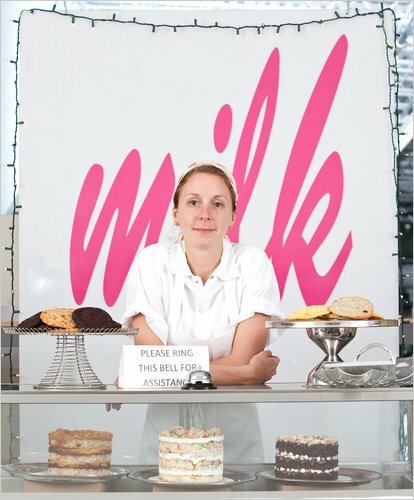 Not only is she the 82nd WCW recipient but she is also the creator and chef of Milk Bar. This world famous bakery headquartered in NYC has 8 locations now. With two cookbooks under her belt, her recipes are very American in their roots. But Christina is super innovative in her approach to being a pastry chef. She is a fabulous role model for women in the culinary world and I am so excited to honor her today and re-create one of her recipes here and live on Snapchat. 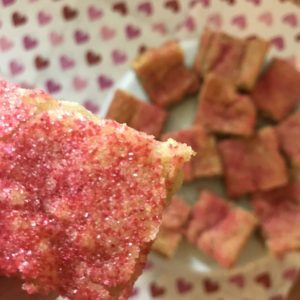 My username is blissbakery if you’d like to come check it out! I’ve said before that because I have no food memories from my childhood, that it makes these WCW episodes that much more special. I gain inspiration from these female chefs and it is my pleasure to honor them. Today’s recipe from Christina Tosi is a jewel in the family crown. It is actually named after her mom and is called The Greta. 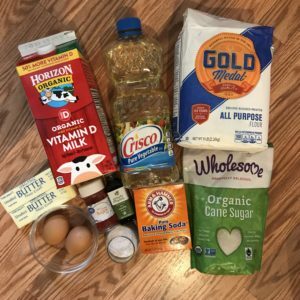 It is a recipe her mom would often make. It looks fun and festive and simple. So I am going to get to it! 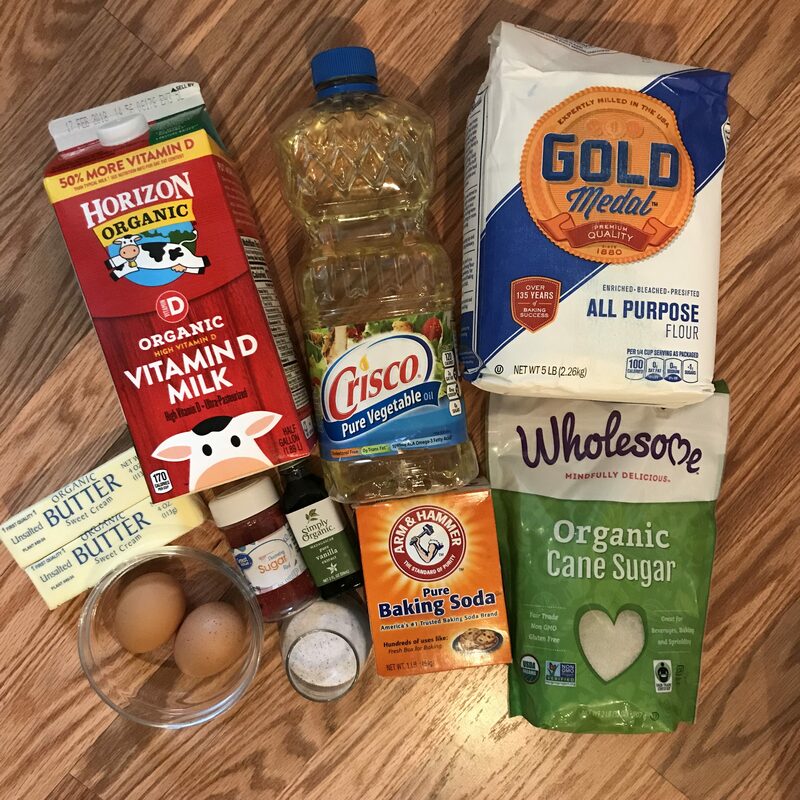 Combine the butter and sugar in the bowl of a stand mixer or handheld electric mixer; beat on high speed for about 3 minutes, until fluffy and homogenous. Stop to scrape down the bowl. Add the eggs, oil and vanilla extract; beat on medium-low speed for about 1 minute or until just combined. Stop to scrape down the bowl. Add the flour, salt and baking soda, beat on medium-low speed until just combined, for about 30 seconds, then add the milk and beat for about 30 seconds, to form a soft dough. Spread the dough evenly in the pan, making sure it gets into the corners. Scatter the decorative sprinkles on top with a generous hand, using even more if you want particularly colorful cookies, or sprinkle with cinnamon sugar. 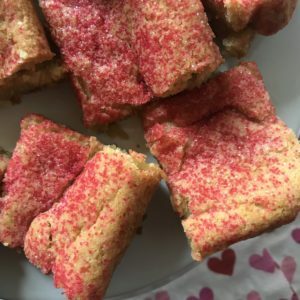 This is a beautifully simple recipe but oh so good! The perfect combo of cookie bar/ gooey cake. I love sugar cookies anyway, but this takes those flavors to another whole level! I knew my granddaughters would love this, however they are dairy intolerant. So this evening I made another batch with them that was dairy free. They loved it! Especially with their own purple sprinkles art on top! It makes a large tray, so they can share at school or with their after school sports teams. And with Valentine’s Day around the corner I think this would make a great gift to wrap up a few bars in a cellophane bag with a red ribbon. Christina is so down to earth and fun loving. A judge on the show Masterchef she showcases her incredible culinary knowledge. 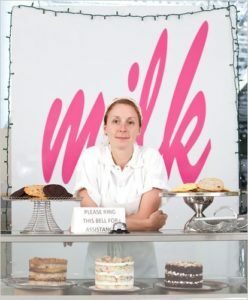 Though she began her college years at the University of Virginia with her eye on an electrical engineering degree, it was the culinary world that called out to her. A gig with David Chang of Momofuku led to her burgeoning career and the rest is history. 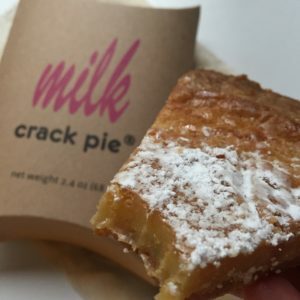 I visited several of the Milk Bar locations in New York when I visited in June of 2017. And of course I had to get the famous Crack Pie! I am so excited to see what this new year has in store for the amazing Christina Tosi. Whatever it is, I am sure it will be sweet! < Previous Until We Meet Again…..